You can earn up to 85% of your sales and you control the pricing! 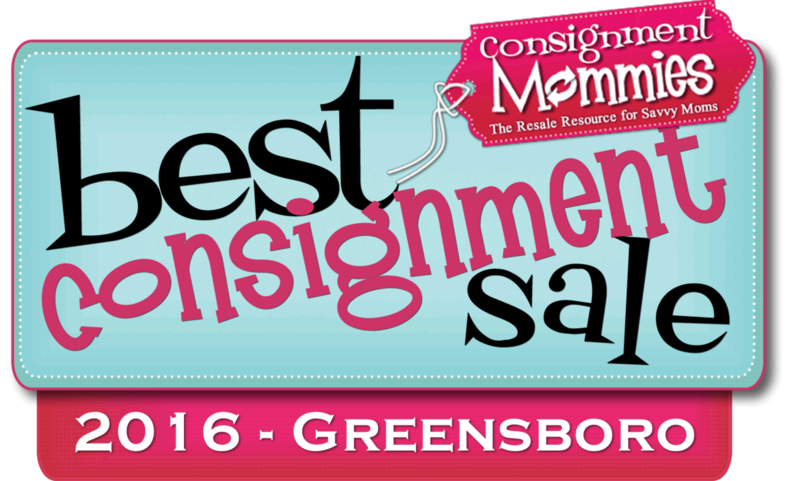 This is the most rewarding of any consignment sale in the Triad! Great drawings and prizes: get your name in the drawing for a chance to win a dream trip to Disney World for a family of four! Click here to see how. Fast Way To Receive Earnings: Your earnings check is available immediately at the end of the sale during item pick-up. You choose what we do with your unsold items: You have the option to pick-up your unsold items (sorted by seller #) or you can choose to share with the community and elect to have us donate the items to children in need. Affordably shop for your children: Use the money you make consigning to purchase your children's next season needs. *Early shopping benefits: you are able to shop BEFORE the public at the Happy Moms Consignor Pre-Sale Party and are also entered to win prizes. Clean House = Happy Mom: Our seasonal sales provide a great way for you to keep your closets free from clutter or unused clothing and keep them filled up with your children's appropriate attire. There's no other comparable selling method: Forget about the hassle of early morning yard sale preparation, bargaining, and cleaning up or even dealing with creating individual online listings, packing, shipping, and/or arranging a time to meet the buyers of your items. Track your Estimated Earnings Daily: You can monitor your earnings online during the sale by logging into your Consignor Homepage by clicking the appropriate location link to the right. Why not? : It's Easy, Fun, and Rewarding! Anyone that signs up to volunteer, shops at the VOLUNTEER presale and then does not fulfill the designated volunteer shift(s) (or a shift in its place) will earn only 50% of his/her sales and will not be allowed to volunteer at future Happy Mom events. In order for us to continue to pay back such a high percentage and have items AND checks ready so soon after the event, we must be able to depend on volunteers fulfilling the shifts to which they have committed. Thank you for understanding! *There is a nominal non-refundable fee ($12 or less, depending on when you register) to consign and can be paid via Paypal at the time of registration. This fee allows us to be able to provide the high percentages that we pay out, as well as the online tagging system we use, which charges us for each consignor that registers. Any consignor that sells more than $150 in a sale will have $5 added to his/her check!